Shopping around for the best savings rates can be tiresome. Comparison websites may only show deals that provide kickbacks, while some of the best rates are from more obscure providers you may never have heard of. 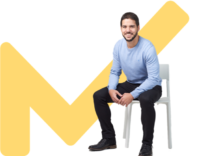 Rather than searching the websites of every bank and building society in the UK, startup Raisin UK provides an innovative and simple solution. 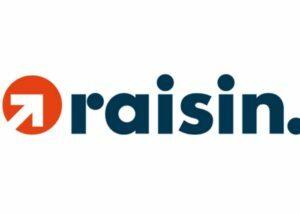 Raisin offers savers access to top savings rates through its own website, with just one sign up needed. That saves you search time and the laborious registration forms. Raisin brings five years of experience in the savings market, having already operated and attracted more than 100,000 users to a similar proposition in Germany, that lets savers access top rates from European banks. Raisin entered the UK market in March 2018 with the purchase of a similar offering called PBF Solutions, which was founded by Kevin Mountford. He brings a strong pedigree in the market, having been the head of banking at comparison website MoneySupermarket. 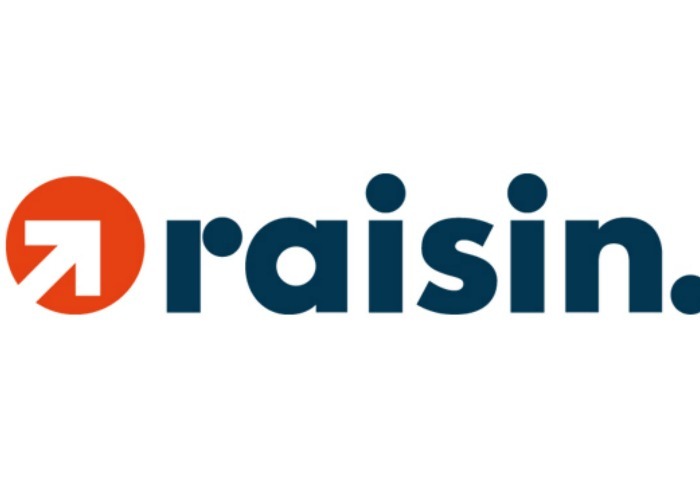 As well as being popular among savers- with more than €6bn of deposits - Raisin has raised more than €70m from investors such as PayPal, Thrive Capital, Index Ventures and Ribbit Capital. Traditionally, when you apply for a savings account you need to complete several webpages to enter your personal details and account information. This can be frustrating and time-consuming if you want to open several accounts in different places. Raisin aims to remove the hassle and make the signing up process more efficient. Raisin's registration page is pretty slick, with just one webpage asking for your personal details such as your name, address and national insurance number to verify your identity, as well as your income and a linked bank account. Users are signed up to the services of Starling Bank (via a Raisin UK Account) when they register in order to manage money transfers to savings accounts on the Raisin marketplace under a new partnership between the brands. This is the last time you have to have your ID confirmed as Raisin has automatically verified you on behalf of any of the partner banks it chooses. Raisin may ask for further documents to prove your identity if needed. Once registered, you can immediately start applying for a range of savings products from its partner banks through the Raisin marketplace online, using just one single login and password rather than having to remember multiple ones. You can set how much you want to deposit and choose from different savings terms ranging from zero to five years. Each product displays information on deposit protection, how much you can earn and how the provider is owned and regulated. Savers can also earn a Raisin bonus of up to £80, but you need to be investing quite a lot to get this. Savers depositing £10,000 will receive a £20 bonus, or £40 for £20,000 and £80 for £40,000. This bonus applies to each separate account. You must inform Raisin of your contributions within 30 days to get the bonus and it will be credited within 60 days. This cashback offer is a welcome bonus, but this is actually less generous than a flat £50 that Raisin had previously offered new users on deposits up until August 2018. What products does Raisin UK offer? Savers can access products on the Raisin marketplace solely from its partner banks. It doesn’t just focus on the big UK brand names, but promises to provide secure savings products regardless of where the bank was founded. It currently has partnerships with six banks. There are products from UK providers such as Shawbrook, ICICI Bank, Gatehouse Bank, B&C and QIB (UK), which is the UK arm of the Qatar Islamic Bank. You can also access products from Maltese firm AgriBank, but unlike the others which offer Financial Services Compensation Scheme (FSCS) protection of up to £85,000, its savers are covered by the Malta Depositor Compensation Scheme for up to €100,000. The rates on offer are designed exclusively for Raisin users and both the Gatehouse and QIB (UK) products are Sharia-compliant for those worried about the ethical standards of their savings provider. You can also sign up for alerts to inform you when new rates are available. Does Raisin offer the best savings rates in UK? Raisin is pretty careful with its wording when it comes to the rates you can get on its marketplace. It describes them as competitive, but they are not necessarily the best. The highest rate on offer on the Raisin marketplace is currently 2.68% from Gatehouse Bank. This is currently a best buy rate, according to MoneySupernarket, although you will need to lock your cash up for five years. If you don’t want to lock your money up for so long, Raisin offers a rate of 1.9 per cent through B&C for one year, but this can be beaten elsewhere with Al Rayan Bank and OakNorth both offering 2.02%. Raisin can also be beaten elsewhere on the two-year products its partners offer, with its best rate at 2.14% from Gatehouse Bank, compared with 2.3% from OakNorth. Alternatively, you can get a rate of 2.33% through Raisin for three years, but Tandem Bank can beat this at 2.4%. All these rates may change regularly, on both Raisin and elsewhere so it is still worth keeping an eye on comparison websites rather than just relying on one source. Rates are one of the biggest factors when choosing a savings account, but you also can’t put a price on convenience. Raisin lets you access multiple accounts in one place, you only have to remember one login and sign-in once and there is also the option of Sharia-compliant savings. Additionally, it will alert you if any savings rates improve from its partners so you should never miss out on a decent deal. This may in some cases make it worth considering even if the rates are a few percentage points off the best buys. Raisin is also providing access to providers beyond the UK shores, which technically should help widen your scope for higher rates by considering banks on the continent. However, most UK banks already tend to offer higher rates, plus you need to ensure you are familiar with different deposit levels and tax rules when using an overseas bank. You are also limited by the partners that Raisin signs up and the unique deals they offer, which may be competitive but you still need to shop around to ensure they are actually the best. Raisin users also face the prospect of a long wait if they want to access their money. There are currently no easy access options on the marketplace, with the shortest term at nine months from ICICI Bank for 1.65%. Additionally, some of the rates on offer barely beat the rate of inflation (that is a problem with savings accounts generally - not just on Raisin), meaning your money isn’t keeping pace with the cost of living. Another downside is the high amount of £10,000 you need to put away to even start earning a Raisin bonus. This is made worse by the lack of an ISA tax wrapper. You are unable to earn any of this interest tax-free through Raisin, so if you have £20,000 spare you may want to use your ISA allowance elsewhere first. Raisin is an appointed representative of Resolution Compliance, which is regulated by the Financial Conduct Authority. This means it has to follow rules on separating and protecting client money so it isn’t mixed with its own funds. All of the partner banks featured on the Raisin marketplace are either UK-based with deposits covered by the FSCS up to £85,000 (£170,000 for joint accounts), or they are registered in a European country, where you will be covered under the European Deposit Guarantee Scheme (DGS) for the equivalent of 100,000 euros. These protections only apply per provider so Raisin will also inform users if their funds are going into deposits with brands that are part of the same banking group as anything above £85,000 would not have as much protection as technically it would fall under just one regulatory licence. How does Raisin make money? Raisin doesn’t charge any fees for its service. It makes money by introducing depositors to its partner banks. The amount it receives from the partner banks depends on how much you deposit and the duration of your savings product. Cash management services are still a relatively new phenomenon. DIY investing giant Hargreaves Lansdown entered the market in September 2018, offering rates of up to 2.7% through its Active Savings product. The service is free for users but the platform receives 0.25% of balances held per year. Hargreaves Lansdown has a broader range of providers than the five partners that Raisin has. It has accounts from Aldermore, Close Brothers, Coventry Building Society and Metro Bank as United Trust Bank as well as Shawbrook and ICICI. Similar to Raisin, everything can be setup in one place and Hargreaves Lansdown will let you setup savings alerts. But unlike Raisin, you can switch your savings and interest to a new product on the Hargreaves Lansdown offering at the end of the term rather than it being returned automatically to your nominated account. Investment provider Octopus Cash also provides a similar service, letting users save across six partners in 35-day notice or 12-month accounts. If you want higher rates than traditional savings, there are also apps such as Moneybox which rounds up the spare change from your spending and puts it into an investment portfolio that can be held in an Isa. Raisin makes the process of saving more convenient with a single login to access multiple accounts. This is helpful in the fast-paced world we live in and will benefit those looking for an efficient way to get more from their money and to access some of the best savings rates in the market. But you are restricted to the partners Raisin chooses and there are no tax-free saving options. This is the trade-off for the convenience Raisin offers. The best High Interest Current Accounts from the whole UK Savings Market!